New Utah Gardener: Can I Plant Tomatoes In May? In Utah? Can I Plant Tomatoes In May? In Utah? Yes, it is time to plant tomatoes if you haven't already. It is generally safe to plant tomatoes on the Wasatch Front after Mother's Day or May 10th. 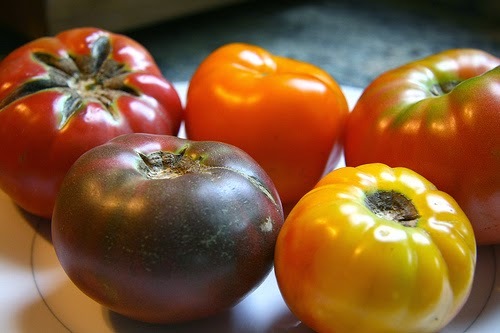 The danger of frost is past and tomatoes will be ok. You might want to wait a week or two to plant squash and basil - they are extremely tender. Here is a link to a great idea for planting and watering tomato plants efficiently. Tomatoes need full sun, regular deep watering (2 or 3 times a week, then a little less when the tomatoes are ripening) and rich soil with good compost. Happy planting!